2 years 1 day ago. 2 years 3 weeks ago. 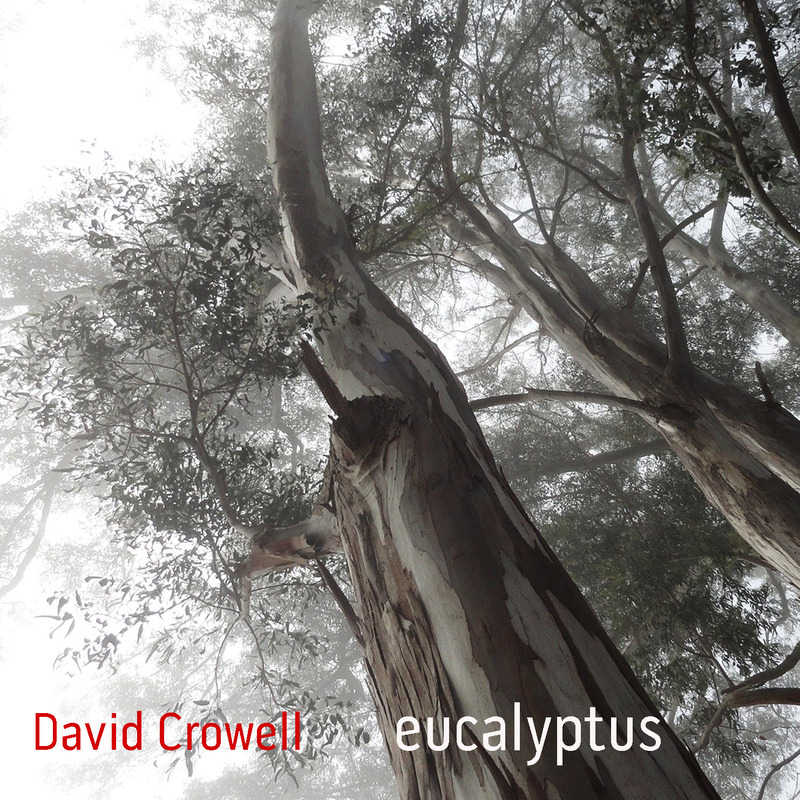 Conceptually unifying Eucalyptus, the new album by composer David Crowell, is its focus on music for multiples of the same instrument. Textural similarity coincides with the ideal of egoless composition, no voice more or less important than another, all combining to form a greater whole. Yet each piece on this record has its own character and personal significance. The title track, Eucalyptus, begins with a long look at the fundamental law of all sound, the overtone series. As the ear perceives hidden tones inside each saxophone note, pulsating and surrounding the fundamental, the simple chord becomes more interesting, complex and hypnotic. Subtle electronic manipulation illuminates and further unlocks the notes above the notes. Meanwhile, fast lines accumulate, flying above the waves like a flock of singing geese. In essence, Eucalyptus is a piece about nostalgia; and for me, the Eucalyptus tree is a prominent representation of my Northern California upbringing. The beauty of Big Sur, where I spent a week prior to finishing the piece, is ever present in my mind as I listen to the music. Similarly, the next track, Point Reyes, is dedicated to that glorious seashore north of San Francisco. Melancholy and exuberance co-exist in Point Reyes; a longing for the past tempered by a thrilling present. Kaleidoscope is composed for a large group of pitched percussion instruments, divided equally between glockenspiels, vibraphones and marimbas. The music rests in dynamic stillness, a metaphor for the balance of relaxation and energy desired in meditation practice. The center drone functions as a meditation bell, with the outlying mallet sounds comprising a constantly shifting 16 part rhythmic counterpoint, alternately evoking raindrops or the gurgling of a river. A composition for multiple marimbas, Throw Down Your Heart is inspired by Bela Fleck’s documentary on the African roots of the banjo. The musical power and joy emanating from the sequences in Uganda (featuring the Amadinda, a twelve foot marimba played by six people) are a touchstone for this work. Fully optimistic, Throw Down Your Heart is an ode to community, musical or otherwise. Poisson Rouge by the NOW Ensemble (MATA Festival), and New York City’s Museum of Modern Art. David has also been selected as a resident composer for the 2012 Mizzou New Music Festival, where he will compose new work for Alarm Will Sound. David tours internationally as a member of the Philip Glass Ensemble, including the 2012-13 revival of Einstein on the Beach.